Jetbackup supports remote Amazon S3 cloud backups. Follow all signing up demands, including your credit card number and the phone verification of the 4 digits pin which will be given to you during your registration to Amazon service. 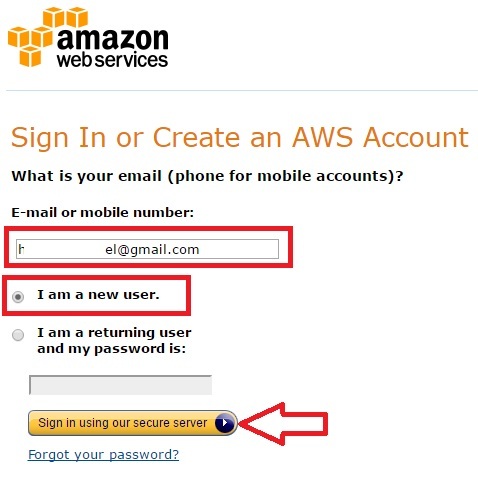 Login to your Amazon account using your email address and password. After the process has ended, you’ll see under “All Buckets” the newly created bucket on the left side of the page, and at the right side – the bucket’s details. Copy the Access Key ID and the Secret Access Key – they will be used later. Check the desired indexing typs. Paste your Access Key ID. Paste your Secret Access Key. Write the bucket name you chose at Amazon S3 console. Choose the bucket region which you chose at Amazon S3 console. Specify the destination which you’ve created earlier.